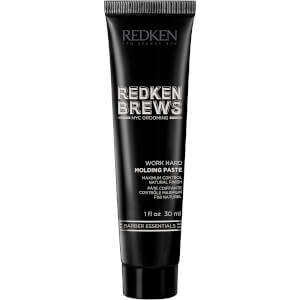 Take control of your style with Redken Brews Men's Hairspray; a lightweight, non-flaking formula developed for all hair types. 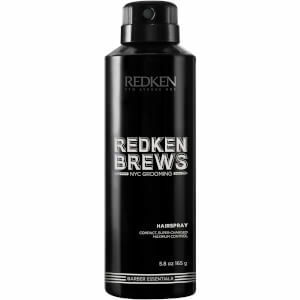 Delivering buildable hold and a mild fragrance, the innovative styling spray sets hair in place with a light mist, or provides additional hold with multiple sprays. Unique compact technology ensures you get double the impact in a smaller, discrete can. 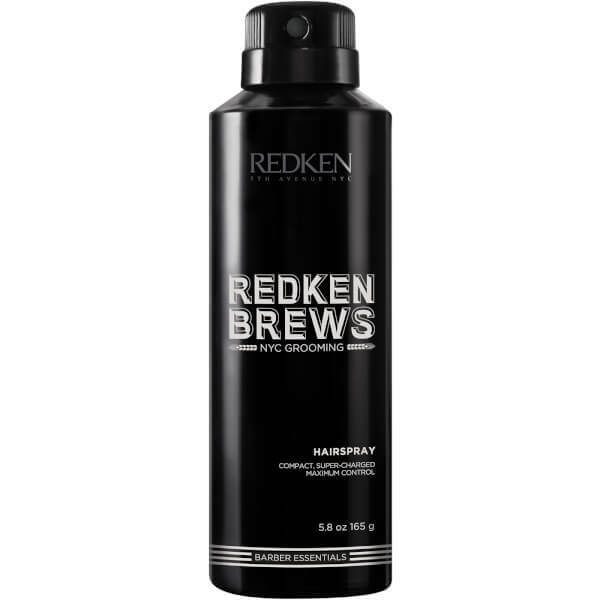 Hold 15-20cm away and spray on dry, styled hair. Reapply for additional hold. Alcohol Denat., Hydrofluorocarbon 152a, Acrylates/T-Butylacrylamide Copolymer, Butane, Aqua / Water / Eau, Aminomethyl Propanol, Linalool, Parfum / Fragrance.